community or a social sector decide to commit itself to a position on any issue it will be crushed with the same logic with which today the PP and the state are seeking to crush Catalonia. This is the central issue, which goes beyond the national question and puts the issue of popular sovereignty front and centre: it is the people who have the right to decide--such is the basis of democracy—and the law must be at the service of democracy and not vice versa. On the other hand, there are other solutions and forms of relationship between peoples that go beyond those traditionally imposed in the Spanish State. The strategy of opening constituent processes has as its central idea developing a project for society that is carried out by the working and popular classes, by women, by migrants, by all the people who do not have political and economic power but who are indispensable. But it can also be a method to solve the historical problems of the Spanish State on the national level: a way of re-articulating relations between the peoples on the basis of equality, where the goal--out of respect for the right to decide and its outcomes--is to build bridges that the current top-down and authoritarian relationship of the central state destroys, developing from below forms of cooperation and dialogue among the people in order to build an alternative society to that of political and economic elites. An opportunity to build a new framework of fraternal coexistence that allows us to aspire not only to recover but also to conquer new social and democratic rights for the popular classes. - Support for independent Catalan Republic has climbed from 41,1% to 48,7% since the second (June) quarter, while opposition has fallen from 49.4% to 43.6%. - Identification with Catalonia ("I am a Catalan who lives in Catalonia") has increased from 43.3% to 49.7%. - If an election were held today the balance of forces in the Catalan parliament would barely change, with the pro-independence camp (Together for the Yes plus the People's Unity LIst) getting 68-72 seats (presently 72, a majority is 68), while total seats in the unionist camp would pass from 52 today (Citizens 25, PSC 16, PP 11) to 47-52 (Citizens 20-22, PSC 17-19, PP 10-11). Catalonia Yes We Can would increase from 11 to 12-13. Given the volatility of Catalan politics today--and the dependence of the final result on the participation rate--these figures should be treated with caution. Catalan president Carles Puigdemont will not appear on Thursday to respond to charges in Spain's High Court, according to his lawyer in Brussels, Paul Bekaert, in statements to the Dutch broadcaster NOS, assuring that Puigdemont "will not go to Madrid" because, said the lawyer, he "will not have a fair trial" in Spain. Speaking to the Associated Press agency, Bekaert proposed "that they interrogate him in Belgium". "It is quite obvious that my client will take a wait-and-see attitude for now", affirmed the Belgian lawyer, to the question of whether Puigdemont would appear to face the Spanish justice system. Spain's High Court summonsed Puigdemont and another thirteen members of the Catalan government to appear on Thursday at 9am, in relation to charges of rebellion, sedition and misuse of public funds. The lawyer in Brussels had already told the Flemish television channel VRT on Tuesday of the intention to fight any request for extradition to Spain. 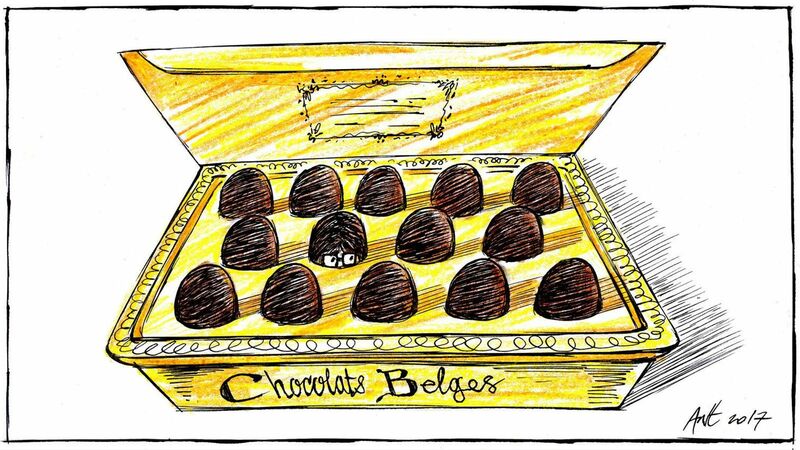 "We have decided not to make a request for asylum, but to fight any extradition request in the courts", said Bekaert, noting that the processes are "completely separate" and that what Puigdemont is doing is "perfectly legal". The judge, in her order, says that "the measure of prison pending trial is appropriate, reasonable and propocional". For minister Santi Vila (Business), meanwhile, the decision is lighter. The public prosecutor asked for bail of 50,000 euros in exchange for him not going to prison. Until he pays, however, he will go to prison too. Vila resigned last Friday evening after learning that president Carles Puigdemont was not going to call elections. The judge argues that his resignation means that he cannot reoffend. In her order, Lamela writes that as it came the day before the unilateral declaration of independence, "it shows his wish against consummating the secessionist attempt". The judge has decided on prison without bail for the others due to what she describes as a flight risk, taking into account the "spending power of the accused which would allow them to abandon the territory" and highlighting the fact that "some [of them] have already gone to different countries, avoiding the criminal responsibility which they might have incurred". Yes, the struggle for independence mobilised Catalonian nationalism, and yes, the decision to move to the referendum was only achieved with the support and leadership of the political and business elites in Catalonia. But this rebellion is by no means a narrow nationalist or apolitical struggle. Indeed, the Catalonia movement is increasingly characterised by a popular mobilisation against nationalism: the explicitly nationalist authoritiarianism of the Spanish state. In the last decade or so, the resistance to Madrid’s authoritarian nationalism has gathered momentum. Since the PP lost the election in 2004, its strategy has been to regain electoral appeal by deploying an ever more crude brand of Spanish nationalism. This has meant overt confrontation with the principle of Catalonian autonomy, and even resulted in some bizarre strategies by groups linked to the PP such as calls for a boycott of Catalonian produce. People now talk about ‘Catalanophobia’. Anyone who saw the crowds sending off the armed guards of the Spanish National police from their barracks across Spain last month with the chants ‘go get ’em’ will understand this is not an exaggeration. In recent years, every single anti-austerity measure and every single attempt to develop progressive politics in Catalonia has been blocked by the courts in Madrid. It is the Madrid government that has brought this crisis to breaking point. Self-determination. There can't be a left vision that refuses to accept the right of self-determination. Also, the right of the oppressed or the descendants of the oppressed to bring their oppressors to justice. And, particular to Spain, the realization that the unity of the current state is intrinsically reactionary-as illustrated by the fact that this unity is predicated on forcing everyone to accept the legitimacy of Franco dictatorship, while protecting all who perpetuated it from accountability. The last forty years have proven that significant progressive change, even in the form of bourgeois liberalism, is impossible to achieve under the constitution imposed be the PP/Falange. I have a friend who is there now, but of course he is a leftist veteran Québec trade unionist, so he'd agree with all the article cited - and have no interest in the type of fake "identitaire" nationalism peddled even by the Québec Liberal Party of all things. Judge Carmen Lamela of Spain’s National High Court — direct descendant of the fascist Franco-era Court of Public Order — took the war of the Spanish state against the Catalan pro-independence government to a new level of judicial violence on November 2. It was not enough that the two leaders of the Catalan mass pro-independence organisations the Catalan National Assembly (ANC) and Catalan cultural and language association Omnium Cultural, were already in jail. It was not enough that the Catalan government had been sacked on October 27 under article 155 of the Spanish constitution. Now the deposed ministers had to be humiliated. The decision immediately provoked a new huge storm of protest across Catalonia. There were demonstrations outside town halls and the country’s parliament and a deafening evening cassolada (banging of pots and pans). A planned November 12 demonstration in Barcelona looks set to be oceanic. Demonstration in Barcelona against the jailing of eight Catalan ministers, November 2. Intersindical-CSC, Catalonia's fifth-largest union, has called a general strike against the repression of the independence process for 8th November. The call follows this Thursday's order by a judge of Spain's National Audience court for preventive custody without bail for Catalan vice-president, Oriol Junqueras and seven ministers, and prison with 50,000€ bail for one former minister. The order of pre-trial detention of eight members of the Catalan government shames every democrat. The creation of political prisoners is one more step in aggravating the political situation in Catalonia and is an obstacle to any sort of democratic solution. The ministers now prisoners were part of a democratically elected government and peacefully defended their political positions. The conduct of the Catalan process by the Government of the Kingdom of Spain deserves the condemnation of democratic countries. The official document that the government of Portugal sent to the Government of the Kingdom of Spain is, therefore, incomprehensible in its position: non-recognition of independence of the Republic of Catalonia and defence of the legality of Spanish State, without a single reference to the need to find solutions to the Catalan question that respect the right of self-determination of the Catalan people, which is based on democratic principles. Even more incomprehensible than the content of this letter sent by the Portuguese government is the way it was elaborated: clearly based on a draft that was disseminated by the government of Mariano Rajoy, in which the position that should be taken concerning the proclamation of the independence of the Republic of Catalonia was indicated. 2. At the issuance by the Portuguese Government of a missive that transcribed the position of the Kingdom of Spain's proclamation on the independence of Catalonia. NOTE the turmoil that we have been living through in Catalonia for a long time now, but especially in the last few weeks and days: everything has been done to stop us from voting, peaceful people have been brutally beaten, information has been misrepresented through lies and denial, and two men of peace [Jordi Sànchez and Jordi Cuixart] have ended up in jail. Finally, with the application of article 155, a whole people has been subjugated by abolishing the institutions democratically voted for by its citizens, with politicians voted by the people threatened with thirty years of jail... In short, it is desired through unjust measures to deny our people the exercise of their right to self-determination. Pope John Paul II, speaking in the UN (on October 5,1995), vindicates this basic right when he says: "Neither a state, nor another nation nor any international organisation, has any right to affirm that a certain nation is not worthy of existence." DENOUNCE the violence, lies, imprisonment, persecution of freedom of assembly and expression, the abolition of our institutions, Parliament and Government, the political use of the courts with the threat of extraordinary punishment and a very long, well known list of other violations that have disturbed social harmony. 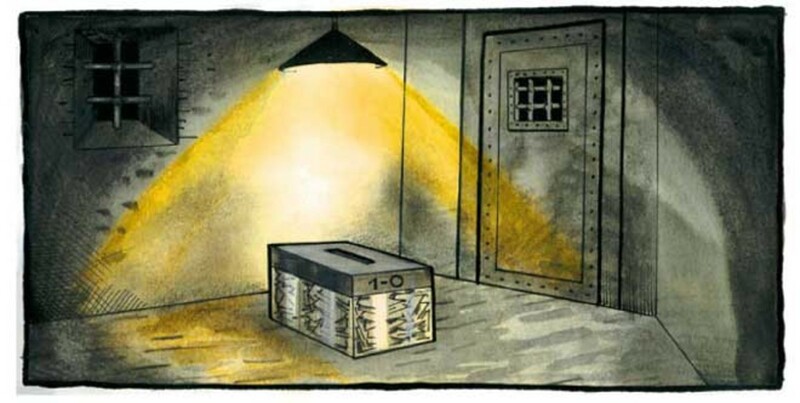 AWAIT the return of basic rights and the highest Institutions of Government, the abolition of political trials, the release of the detainees and respect for plurality of opinion and the legitimate aspirations of the Catalan people. Let us pray about all that we are experiencing, in the desire that calm, respect and peace prevail. Podemos Catalonia leader Albano Dante Fachin denounces a war by Spanish state leader Pablo Iglesias to remove him as general secretary. Fachin states that the attack, which consists in having various Podemos branches in Catalonia demand a special congress to vote on his position, is unconstitutional because Podemos statutes says that such a call cannot be made before 18 months have passed since the elections of the general secretary (in Fachin´s case, in January 2018, given that he was elected in July 2016). Manchester City trainer Pep Guardiola: "We can't forget that these politicians, who haven't even broken a window, are in jail because they wanted people to vote." Owen Jones in support of a Catalan right to decide on BBC TV. OPEN LETTER TO COMMISSION PRESIDENT JUNCKER AND EUROPEAN COUNCIL PRESIDENT TUSK cc. First Vice-President Frans Timmermans on upholding the rule of law in the European Union. The European Union has proclaimed the Rule of Law principle and respect for fundamental rights and freedoms to be binding on its Member States (Articles 2 and 6 of the Lisbon Treaty). The EU’s leadership has been a staunch protector of these fundamental norms, most recently in countering the Polish government’s attempts to undermine the independence of judges as well as the Hungarian government’s actions to limit civil society and media freedoms. However, we are deeply concerned that the EU’s governing bodies are condoning the violation of the Rule of Law in Spain, in particular regarding the Spanish central authorities’ approach to the 1 October referendum on Catalan independence. We do not take political sides on the substance of the dispute on territorial sovereignty and we are cognizant of procedural deficiencies in the organisation of the referendum. Our concern is with the Rule of Law as practised by an EU Member State. 1/ The Spanish Constitutional Tribunal banned the referendum on Catalan independence scheduled for 1 October, as well as the Catalan Parliament session scheduled for 9 October, on grounds that these planned actions violate Article 2 of the Spanish Constitution stipulating the indissoluble unity of the Spanish nation, thus rendering secession illegal. However, in enforcing in this way Article 2, the Tribunal has violated Constitutional provisions on freedom of peaceful assembly and of speech – the two principles which are embodied by referendums and parliamentary deliberations irrespective of their subject matter. Without interfering in Spanish constitutional disputes or in Spain’s penal code, we note that it is a travesty of justice to enforce one constitutional provision by violating fundamental rights. Thus, the Tribunal’s judgments and the Spanish government’s actions for which these judgments provided a legal basis violate both the spirit and letter of the Rule of Law. The Spanish government, in its efforts to safeguard the sovereignty of the state and indivisibility of the nation, has violated basic rights and freedoms guaranteed by the European Convention on Human Rights, the Universal Declaration of Human Rights, as well as by Articles 2 and 6 of the basic law of the EU (the Lisbon Treaty). The violation of basic rights and freedoms protected by international and EU law cannot be an internal affair of any government. The silence of the EU and its rejection of inventive mediation is unjustifiable. The actions of the Spanish government cannot be justified as protecting the Rule of Law, even if based on specific legal provisions. In contrast to rule-by-law (rule by means of norms enacted through a correct legal procedure or issued by a public authority), Rule of Law implies also the safeguarding of fundamental rights and freedoms – norms which render the law binding not simply because it is procedurally correct but enshrines justice. It is the Rule of Law, thus understood, that provides legitimacy to public authority in liberal democracies. We therefore call on the Commission to examine the situation in Spain under the Rule of Law framework, as it has done previously for other Member States. Basque Nationalist Party puts Rajoy's budget at risk for lack of "democratic decency"
The spokesperson for EAJ (Basque Nationalist Party) in the Basque Parliament, Joseba Egibar, has said this Saturday that "there is no possibility of agreement" with his party over Spain's 2018 budget. The Spanish Congress of Deputies has 350 seats of which prime minister Rajoy's PP (Popular Party) hold 135 and, as such, relies on votes from parties like EAJ, which is also centre-right in terms of ideology, to pass anything. In a discussion between Basque politicians on Basque public radio station Radio Euskadi, Egibar asked: "With a PP, with a Spanish government which has set all its politicojudicial machinery against the independence process in Catalonia" and "its governors", "what area of negotiation should [the EAJ] have with the PP?" Inciting hatred. This is the accusation under which the District Court in the Catalan town of Seu d’Urgell has issued summons to eight local teachers at three of the town's schools. The calls to give evidence arise from complaints made by several families after the teachers allegedly initiated classroom debates on Catalonia's independence referendum on October 1st and the police crackdown in response. All the teachers are being investigated under an alleged crime of inciting hatred, according to the local newspaper Segre. The complaints that were presented assert that some teachers initiated the political debate in their classrooms "in a pro-Catalan tone, against Spain". These claims were made very soon after the referendum and, in fact, the Prosecutor in the city of Lleida opened an investigation into the matter on October 6th. A BELGIAN judge has conditionally released sacked Catalan President Carles Puigdemont and four of his ministers. The group is now expected to appear in court within 15 days, prosecutors in Belgium said. The two main parties of government and the leading opposition in Belgium, N-VA (New Flemish Alliance), MR (Reformist Movement) and PS (Socialist Party), have expressed their opposition to the legal offensive by the Spanish government towards Catalan president Carles Puigdemont and his government. 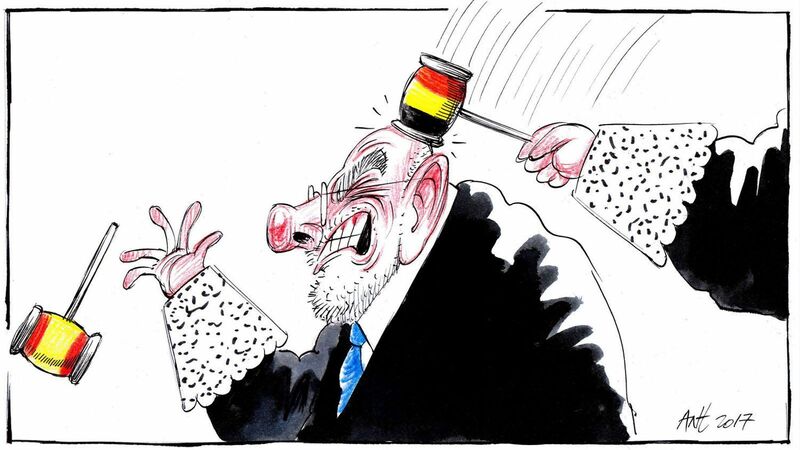 In the last few days, both the Flemish and the Walloon sides have rejected the path chosen by Mariano Rajoy's executive. ..today 200 mayors from catalonia are headed to brussels, the european government, to denounce what the see as an attack on the catalan self government. Catalonia again comes to a standstill. After the countrywide standstill on 3rd October against the police violence during the referendum, this Wednesday another large-scale action is planned in opposition to the imprisonment of over half the Catalan government and leaders of pro-independence organisations and the intervention in self-government via article 155 of the Spanish Constitution. What will be running today? The Catalan government's decree of minimum service for this Wednesday plans 33% service for Rodalies trains. As for metro, buses, trams and FGC trains, there will be 50% service at rush hour (6:30am to 9:30am; 5pm to 8pm) and 25% during the rest of the day. The aerobus (airport bus) will be the same. That said, the operators say, whilst service may well be affected, they don't expect it to be to such a great extent. Barcelona's plaça de la Catedral, the square in front of its historic cathedral, has filled this afternoon with the call for the release of the political prisoners. As members of the public continue closing roads and train lines around Catalonia, thousands of people have responded to the call from pro-independence organisations Òmnium Cultural and ANC (Catalan National Assembly) to gather in opposition to the actions of the Spanish state. At the start of the event a manifesto from Taula per la Democràcia (Board for Democracy) was read out, as it was at many other rallies around the country. The manifesto says that article 155 "seriously affects people's lives" and constitutes "a direct attack on democracy". It notes that the control of the Catalan government's finances affects associations, complicates the fight against inequality and could lead to the loss of jobs. The Board announces their firm commitment to the democratically elected institutions of Catalonia and calls for "the return of political normality", noting that lawsuits aren't the way to solve any problem. A number of speakers represented a variety of organisations, in speeches complicated by sound problems. The National Council of the Youth of Catalonia said that they cannot accept any Catalan government not democratically elected. A representative of the Farmworkers' Union emphasised their unbreakable commitment to democratic freedoms and said that, facing the current "social emergency", a strong reaction is needed under the slogan "Freedom, Amnesty and Self-determination". Camil Ros, of the UGT, one of the largest Spanish unions, which didn't join calls for a strike today, was received with boos and cries of "strike, strike, general strike". His speech was inaudible from large parts of the square, despite the organisers asking for respect. On the other hand, the representative of education union USTEC was warmly applauded. They noted that public and concertada (semi-public) schools had joined the strike, expressed their loyalty to Clara Ponsatí, "the only minister we recognise" and made it clear that teachers do not indoctrinate their pupils, but will not stop talking about politics in the classroom. Also loudly applauded was the representative of the CDR (Committees for the Defence of the Republic), who discussed the many actions in the large-scale mobilisation around Catalonia today, as well as the resistance to the security forces who tried to prevent the referendum on 1st October. Another ovation was given to the representative of Intersindical-CSC, the union who initially called the strike for today. Road block at Puigcerdà (on Pyrenean border with France) maintained despite the freezing temperature. Hundreds of protesters, the majority of them students, have this afternoon closed train lines through 7 platforms at Barcelona's Sants station, one of the Catalan capital's most important traffic hubs, interrupting service. Both regional Rodalies and long-distance AVE lines were affected. The demonstrators gathered first on the station's platform before climbing down onto the lines. The action, organised by the CDR (Committee for the Defence of the Republic), forms part of today's "countrywide standstill" against the political prisoners. The line closures repeat scenes seen this morning at the AVE platforms in Girona, an event which also attracted hundreds of people. 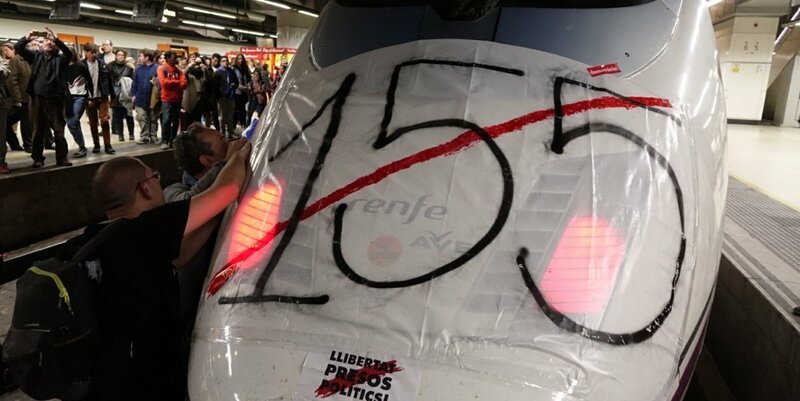 The demonstrators have hung a banner against the application of article 155 of the Spanish Constitution on the front of one of the engines waiting in the station. Rally in the main square of Manresa to demand freedom for the political prisoners. Naomi Klein on Catalonia: "a flagrant attack on democracy", "arresting an elected government is unacceptable"
The Canadian journalist, writer and activist Naomi Klein believes that the response of the Government of Mariano Rajoy to the Catalan independence movement is "incendiary" and a "flagrant attack on democracy." After presenting her new book Decir no no basta (Paidós / Empúries), [the Spanish edition of No Is Not Enough] the North American intellectual indicated that it is not up to her to say where there should be new frontiers, but that she has been in favor of the right to self-determination of peoples , "a principle that I, who am from Quebec, defend as long as it has the necessary support. " In her opinion, this type of process should be "as democratic and legitimate as possible". She said that the Spanish government, with "its incendiary response", has produced an increase in the number of Catalan separatists. Klein also stressed that "arresting a democratically elected government is not acceptable, neither is the response of the European Union." "I think that article 155 should be abolished and the people who have been imprisoned freed. A democratic process should be carried out and the conflict should be resolved through nonviolence," she said. The author of No Logo pointed out that "when a non-violent movement is countered by force, as happened on October 1, it is not a good sign". She added that for her it is "unimaginable" that the government of Canada "would have arrested the Quebec government." However, she also said that "the shock that has occurred has not been an accident, it has been deliberately created ". Catalan Republic, Year 2000 and a bit: "To the Prime Mover of Independence"
Workers for the law courts blockade Barcelona's Gran Via (Broadway) in support of jailed Catalan attorney-general Carles Mundó. The president of the European Commission, Jean-Claude Juncker, has this Thursday warned against the "nationalist poisons" which prevent Europe from working together and strongly criticised what they represent: "I say no to any form of separatism which weakens Europe and adds fracture and division". Juncker was speaking after being invested as with an honorary doctorate by the University of Salamanca in a ceremony attended also by the Spanish prime minister, Mariano Rajoy. Juncker repeated his support for Spanish law in support of the Spanish executive in the face of the situation in Catalonia. ..14 min newscast includes a report on the trial. Yesterday Spanish prime minister Mariano Rajoy said the December 21 Catalan elections were "an opportunity to return to normality". 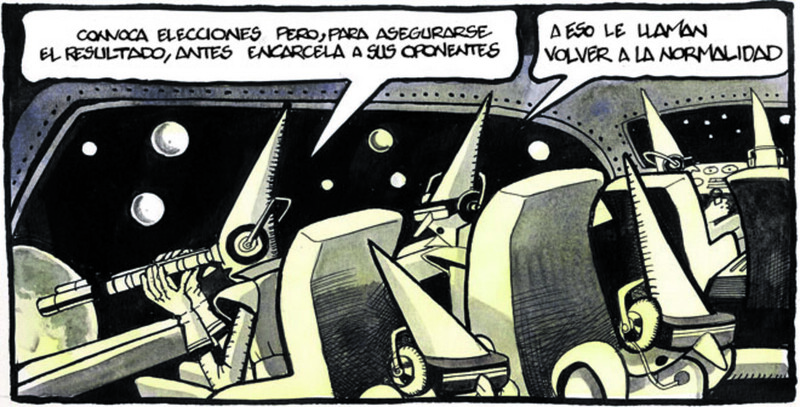 Space creature A: "He's calling elections but, to guarantee the result, he's putting his opponents in jail first." Space creature B: "It's what they call returning to normality." Why the obsession with destroying President Puigdemont? But, above all, he is in Brussels because, had he stayed in Spain, he would be in jail now, with the other half of his cabinet, in a blatant violation of their civil rights. Denouncing all that is the Catalan president’s main task at present, and it is the most relevant aspect of what happened last night: Belgium’s justice has fully exposed Spanish justice for what it is and everyone in Europe can see it. There is yet one more basic reason which explains Spain’s apprehension: Carles Puigdemont is the president of Catalonia and the legitimate government of this country will have a voice and will be heard by the population for as long as he is able to communicate and speak freely. That’s why they would like to see them locked away and kept behind the tallest walls: because their presence in the street puts wind into the sails of the institution which they think they have beheaded and keeps it going. Dan La Botz, a co-editor of New Politics, interviewed Josep María Antentas, teacher of Sociology at the Universitat Autònoma de Barcelona (UAB) and anticapitalist activist. DL: The Catalan independence movement and its suppression by the Spanish state have garnered the attention of the world. What has been your attitude toward the question of Catalonia? JMA: My traditional position is the defense of the right to self-determination, with the idea that when a group wises to exercise this right its position must be made specific. In the current situation and since the independence movement began in 2012, the defense of a “Yes” vote has a more democratic content than the “No” vote, which is associated exclusively with the reactionary defense of the Constitution and the political regime. DL: So you called for voting yes on the referendum recently organized by the Catalonia government? JMA: My position is that a “Yes” in the referendum now is the position that makes it possible to break with the post-Franco political framework. But that doesn’t necessarily mean that independence has to be the endpoint; an eventual Catalan Republic could confederate or federate with Spain afterwards, or could at least ask to do so. And there might be other options. DL: What has been the impact of this process on the Spanish state? "The National Audience [court] isn't competent to examine the crimes of rebellion and sedition". This is the verdict of a manifesto published in Spanish online newspaper ElDiario.es signed by more than 100 professors of penal law from around Spain. The letter criticises judge Carmen Lamela for "lack of restraint" without mentioning her by name, only referring to her as the "incumbent of central court of instruction number 3". 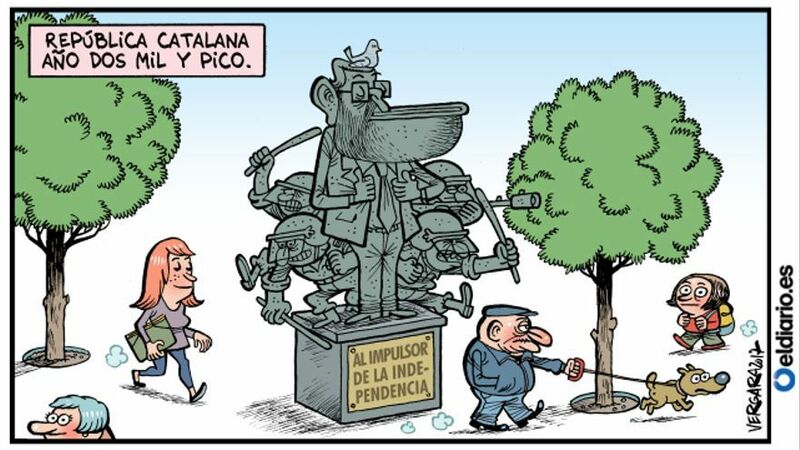 The authors also accuse her of "manipulation rarely seen in forensics" in decreeing preventive detention without bail both for the presidents of pro-independence organisations ANC (Catalan National Assembly) and Òmnium and for the Catalan vice-president and 7 other ministers. In their opinion, these measures are "seriously disproportionate", as well as "lacking of sufficient justification, beyond abstract demonstrations". They argue that "the assignation of criminal responsibility for what has happened has to take place with strict observance for our penal and procedural laws and strictly respecting the principle of legality, which must be followed in this area". Barcelona's carrer Marina boulevard has this Saturday become a huge call for the release of the imprisoned pro-independence social and political leaders. Hundreds of thousands of people have responded to the call from ANC (Catalan National Assembly) and Òmnium Cultural, who, in the face of the exceptional events of recent weeks, wanted to give an exceptional response. At the head of the march, two large banners reading "release political prisoners" and "we're a Republic". ..this is what 750,000 people sound like.